Every kitchen needs Essential Cooking Gear. While some people buy kitchen equipment like it’s their job, I take a more minimalistic approach. Here are the few items that meet nearly all of my needs. I know these will meet a majority of your needs, especially if you’ve jumped on our meal plan membership. There are affiliate links so you can grab the best items, made from quality ingredients, from reputable brands in the quickest amount of time and shipped straight to your door. But… if you want to spend your time driving around town you could probably find the items locally too. Scroll all the way down for the condensed list of essential cooking gear. I love a slow cooker! 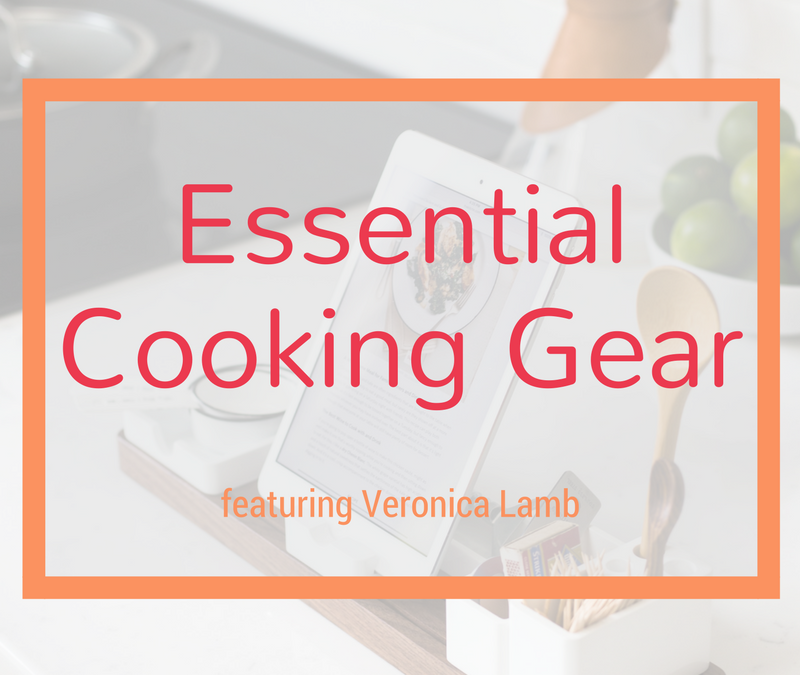 It’s the ultimate enabler for a multi-tasker and should be on your list for essential cooking gear. Would you like to cook food while you… sleep, run errands, work, play with the kids, watch Netflix, or while you do anything else you want? Get a slow cooker. I love it because you don’t have to keep checking it to see if the food is burning. Step 1 – Dump food in. Step 2 – Turn it on. Step 3 – Carry on with my life. When you are ready to eat in the next 3 to 8 hours, you have food hot & ready just waiting for you to enjoy it. If you don’t have one, try these. Large Slow Cooker for a Family or Small Slow Cooker for an Individual/Couple. Honestly, I do own several cooking pans, but I don’t use them. I only use my big one with nice high sides and a lid. This is the only pan you need in your essential cooking gear list. I truly don’t think I’ve used any other pan in the past year. You can cook a lot of food at once, you don’t have to worry about it spilling out, and the lid traps the steam cooking the food faster without drying it out. I love a high-quality Large Stainless Steel Saute Pan for my family, but a slightly smaller Everyday Pan may be sufficient for an individual or couple. I like making my own broths, soups, and curries. The holidays are my favorite time of year for soups and utilizing the rich bones from Thanksgiving turkeys or Christmas hams. Of course, if you are taking the time to cook, you want to make the most of your time and have plenty of leftovers! A Big Stock Pot is perfect for big batches of savory soups that will freeze well and carry you through a few months. I make this one plural because if I’m going to heat up the oven (in this Hawaiian climate), then I want to bake as much as I can. Casserole Dishes should be in your essential cooking gear list. If you don’t already have them then grab some with lids at Amazon using my link below. These 9×13 Glass Casserole Dishes are perfect for baking and storing food, but don’t try broiling. If you need to broil, use a high-quality Sheet Pan that won’t warp or pop under the high heat. Smoothies, thick soups, sorbets… I don’t know how people live without a blender. I love the power of my Vitamix, but if you’re looking for a more affordable option then a Ninja isn’t a bad choice. *An average blender will get you through for a little while, but the motor will burn out if you use it every day. Mason Jars for the win! I couldn’t dream of putting together an essential cooking gear list and not including mason jars. Half pint & Pint jars can go in the fridge, freezer, or microwave. Some people even bake in them. (Honestly, I haven’t tried that, but they are my go-to for all things food storage.) You can use them to pack individual serving sizes and you could keep a few larger ones (quart size) around for when you make smoothies or soups in bulk. The Half-Pint Regular Mouth jars are great for small portion sizes (like for kids) and Wide-mouth Pints are great for adult portions. Grab a case of each with those links, or run to your local big box store to pick up a case for about the same price. A Collapsible Funnel isn’t super essential, but it will make life more efficient with mason jars. I pretty much use one knife all of the time and a bamboo cutting board. You really don’t need much more. If you’re concerned about meat contaminating the cutting board, throw down a piece of wax or parchment paper. A Santoku Knife and a Large Bamboo Board will handle all your chopping needs with plenty of room for multiple fruits or veggies on the board. Nobody wants to do more dishes just because you had to set the chopped vegetables in a bowl, right?! Make sure you have a large board with plenty of room to work. Having the essential cooking gear is helpful, but if you’re still unsure what to cook or the idea of planning your meals makes your head spin, then you could use a meal plan to get you started. We’re giving away a free meal plan – Affordable, easy recipes, focused on efficiency with all clean, real food ingredients. Homecooked meals have never been easier. *Coming soon* Follow us at the links below for more info & announcements. Join the Meal Planning Workshop. It’s a 90 minute working session on a group video call. We literally work together to get your meal plan done. Come in frustrated and disappointed with your meals, but leave with confidence and a workable plan for your real life. Learn the essentials of meal planning. Create your custom meal plan with us. Walk away with an easy to use template so you can stay on track. Follow my FB page and Instagram for healthy inspiration. I hope you found this helpful and look forward to seeing you around. Drop a comment below and let me know how you liked this post. Wondering if your baby has a food sensitivity? 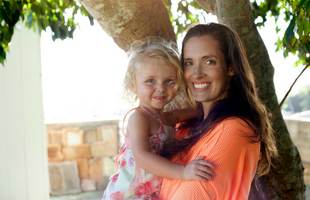 Wanting to know to know if your little one’s gut is healthy? Have all of these .thanks Vern!! Right on! I’m glad you’ve got a well-stocked kitchen and ready to roll out some delicious meals! This was so thorough,Vern! And I love that we can just click on the item recommended and it takes us right to it on Amazon! Brilliant. This write up was so organized, clear helpful/practical. It’s all right there. Well done and Thanks! !